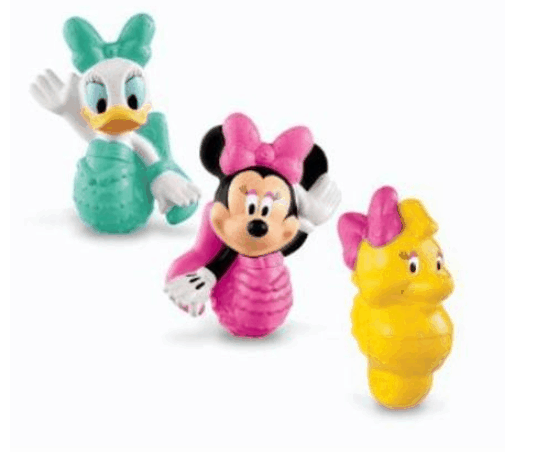 *CLEARANCE* Minnie Mouse & Friends Bath Squirters ONLY $4.00 (was $7.50)! You are here: Home / Great Deals / *CLEARANCE* Minnie Mouse & Friends Bath Squirters ONLY $4.00 (was $7.50)! My kids love bathtime, and they may not ever want to get out with these super fun Minnie Mouse & Friends Bath Squirters, on clearance for ONLY $4.00 (was $7.50) + FREE store pickup right now!